Hello, sailor. Get ready to embark on a chic color adventure in delicately sparkling lights and ultra soft brights that whisper easy elegance. 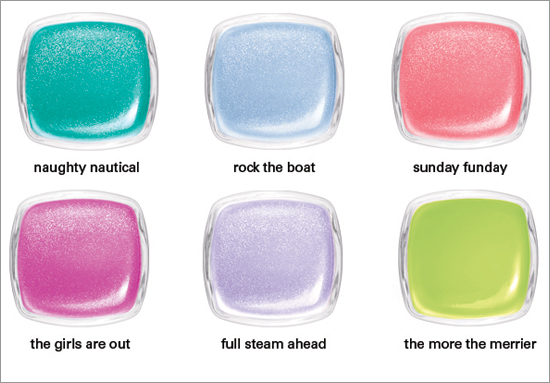 It’s smooth sailing into summer with a collection of nail colors that’s a casually cool affair — perfect for a stylish night on the town and a dress that feels more caftan on the beach than red carpet-ready gown. 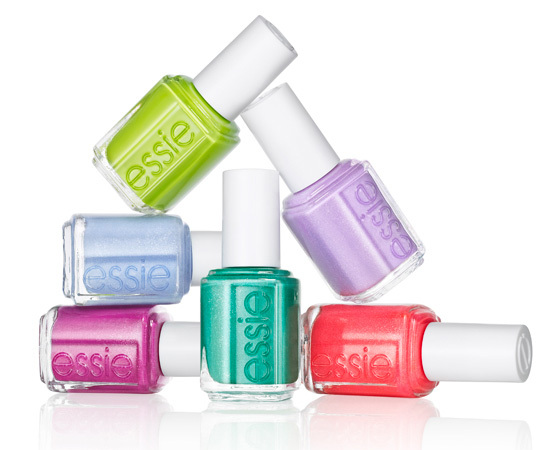 ”This collection is for women in a sunshine state of mind”, says Founder and Creative Director Essie Weingarten. ”Inspired by breezy chiffon cover-ups and cashmere pastel evening looks, these six shades make the perfect wardrobe for any journey”. Weingarten reiterated her passion for traveling, ”There’s nothing more calming than a cruise to paradise, it completely rejuvenates mind, body and soul”. These colors were created to inspire relaxation. It’s all about discovering a beautiful place to drop anchor and dive in — whether you’re sailing or just going about your daily life, a manicure in blissed-out Essie color is the perfect summer accessory. It’s sunday funday, the perfect day for a maiden voyage and the more the merrier. Sail away, full steam ahead into glittering waters and sunny ports of call. Want to make waves? Go ahead, rock the boat, it makes the adventure a whole lot more interesting. When the girls are out, there’s no telling just how naughty nautical can be.